Is buying organic really better, and if so, by how much? Organically raised animals must be given organic feed and kept free of growth hormones and antibiotics. Organic farm animals must have access to the outdoors, including pastureland for grazing. 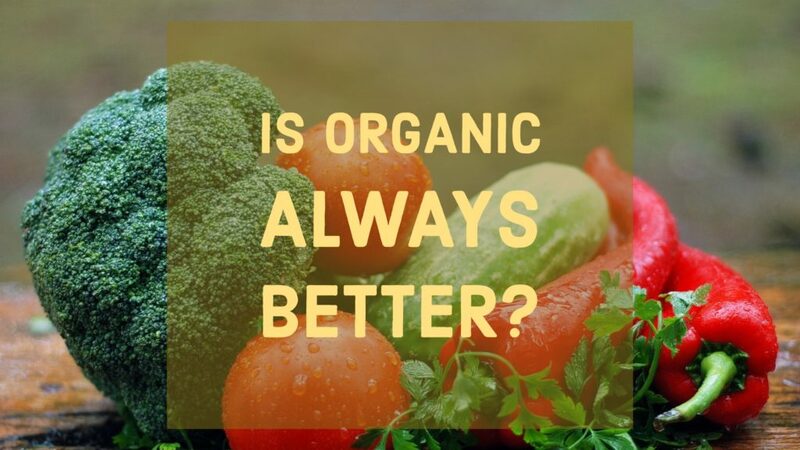 If a food has a “USDA organic” label, it contains at least 95% organic ingredients and a government-approved expert has inspected the farm where it was produced to ensure that the farmer follows USDA requirements. If we are talking pesticides, your chances of getting pesticide residues are much less with organic food. Research has shown that organically grown crops have about 1/3 less pesticide residues as conventionally grown ones. Even so, the amount of man-made pesticide residues found in conventional foods is still well below the level that the EPA has deemed unsafe. For the full article, read further here! Essentially, we spend 30% more for 30% less pesticides in our food. PS: “All-natural” and “farm-raised” buzz phrases aren’t regulated, so they don’t mean much, they just sound good. For a breakdown of suggestions of foods to go organic with, check out this article! Items such as beef, peanut butter, chicken, pork, and microwave popcorn made the list. To discuss your individual nutrition, reach out and let’s have a chat! How can we maximize your food choices for your nutritional, health, fitness, and wellness goals? Let’s explore!